I’m editor of The Pod Delusion, but that’s just a time consuming hobby. My day job is at social audio start-up Audioboo. (The two are unrelated – The Pod Delusion is purely an out of work thing!). Any science communication is purely accidental! 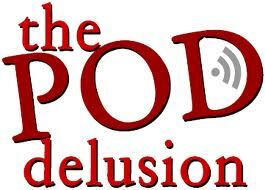 The Pod Delusion is a weekly news-magazine podcast and radio programme about ‘interesting things’. We cover everything from politics, to science, to culture – all from a pro-science, rationalistic point of view. So we’re a fairly newsy programme – and we like to examine claims, and tell interesting stories that our audience may have missed in the proper media. We have lots of scientists who contribute to the programme – as well as science being a focus, so inevitably many of the segments on the show are scientists talking about the latest developments in any given field. It’s hard to describe exactly – we seem to appeal to a wide range of people, but generally our listeners tend to be a clever bunch, who like learning about a wide variety of things. When we setup our interviews we tend to tell guests that our audience are “science enthusiasts, but not necessarily scientists” – so perhaps people who are on board with the idea of science being awesome, but not working in the field. Though we do get tweets from people saying they listen in the lab and stuff too! It was fairly accidental. I’m a humanities graduate (I’ve got a Masters in International Relations) but I started attending Skeptics in the Pub meetings – and made friends there who were more into science. Some time later I decided I wanted to start a podcast but didn’t really know what to do – which I why I gave it the remit of being about “interesting things”. Then I recruited several of my friends from skeptic circles to contribute – so naturally the things we’d talk about would have a bit of a scientific slant. So we’ve only really focused on science a lot by accident! It’s rewarding in itself – though time consuming for both me and our deputy editor, Liz Lutgendorff, we get to go to interesting things and meet interesting people – which we wouldn’t ordinarily be able to do. It’s always cool too when you’re at an event and someone recognises you by your voice. As I’m not a science communication insider I’m not sure I’m qualified to answer this, though broadly I like the fact that you don’t need a certain qualification to be able to do it. All you need to do is be able to cite your sources, defer to evidence and get enthusiastic about cool things. It’s hard to define as we don’t have discrete “projects”, but getting to interview David Attenborough was pretty damn exciting. (Also: terrifying). Each episode of the show is a project in itself, so every Monday we essentially start afresh. More broadly though I recommend checking out Soho Skeptics, which we’re involved with – a new series of public talks and lectures and events advocating a scientific worldview. I’m genuinely not sure if I’m actually “in” science communication – though the obvious advice would be to get your work out there. The reason we’ve had success is because we’re publishing audio content every week. Don’t hide it away, revising it – just publish!